Before the beginning of every NBA season, pundits and casuals alike await the year by projection how each team will fair. The number of people who wear their psychic hats often grows to a point of consensus, where a range usually begins to form for where most teams will land. As the season begins and drags along, more and more times we see some surprise teams emerge as great success stories. Just this season, we’re witnessing the Sacramento Kings in the playoff picture despite already being over a third of the way into their season. THE SACRAMENTO KINGS! However, basketball is a zero-sum game at its core, so as the positive surprises emerge, so too do the shocking disappointments. These disappointments can range from hopeful contenders brought back to earth, all the way to already inadequate teams performing even worse than expected. The San Antonio Spurs are a mediocre NBA team. Yup, wipe your glasses all you want, but it’s true. And that’s a pretty tough pill to swallow for most Spurs fans. The Spurs aren’t actually playing terribly. They’re 7th in the West and have won three in a row. But being right around what’s expected of their roster is a rare position for a Gregg Popovich-led team. This is the reality of the San Antonio Spurs right now. For the first time in two decades, the team’s personnel cannot be carried to the promised land by their legendary coach. The most interesting part about this Spurs reality check is that the once revolutionary team has turned into the complete opposite. 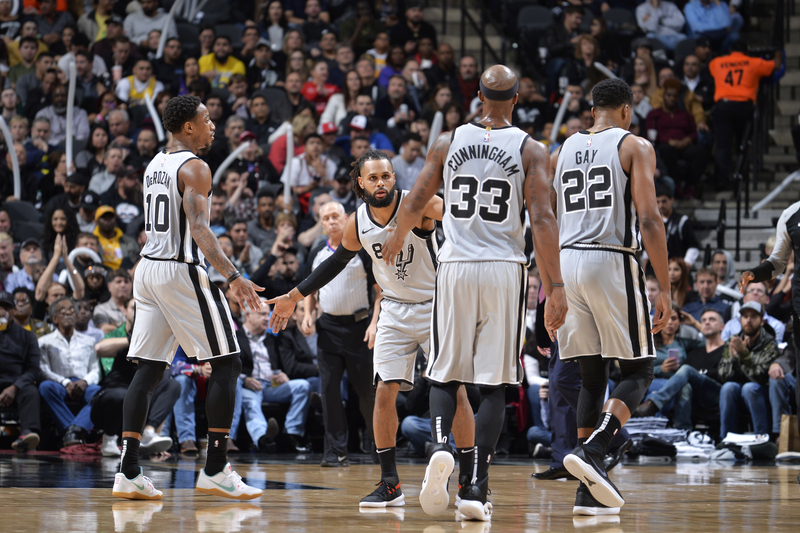 The Spurs are currently last in the league in three-pointers attempted (24.1 per game), despite being first in 3PT% (40.3%). They are the midrange kings of the league nowadays, especially because their two best players, DeMar DeRozan and LaMarcus Aldridge, are known for exactly that. Defense has also been the rock that has kept them competitive, and they ranked in the top four on defense for five years in a row before this season. The times may have finally moved past Gregg Popovich and the Spurs. But hey, at least they still have Tim Duncan Manu Ginobili Tony Parker Kawhi Leonard Danny Green Patty Mills to carry the legacy of the glory years. If you haven’t seen a Miami Heat game this season, I suggest you don’t (Unless you’re watching for Dwyane Wade’s Swan Song, then… I guess you can try to bear the pain). This team LITERALLY scrapes for points. If you don’t believe me, maybe you’ll believe their league-worst 43.1% FG percentage and 53.1% True Shooting Percentage. I guess they deserve some slack because of the bevy of injuries that has hit a number of their rotation players. Goran Dragic’s finally been declared out for 2 months after being in and out of the line-up for most of the season, Dion Waiters hasn’t played a single game, and James Johnson just has been up and down since his return. But more than the current on-court product, it’s the fear of being on the treadmill of mediocrity moving forward that’s really worrisome. Tyler Johnson – why would anyone pay $19M a year for Tyler Johnson? 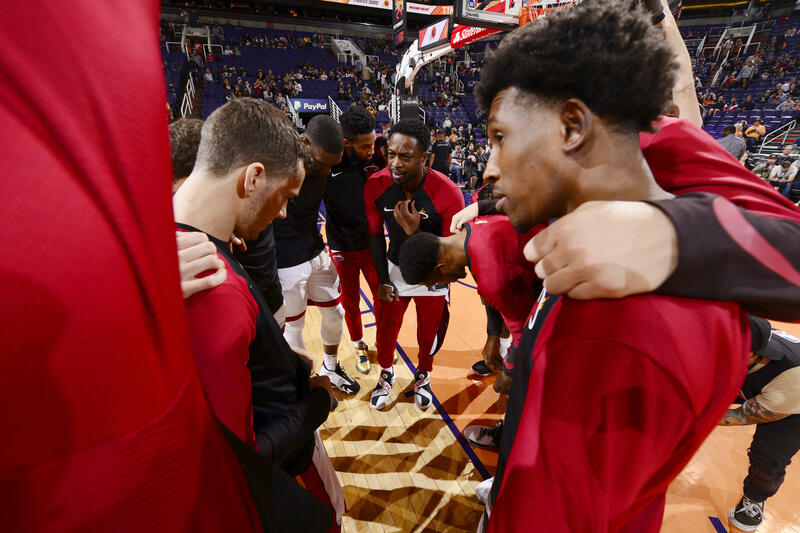 For those 7 players alone, the Heat will already be $10M above the projected 2019 Salary Cap, and that number does not even include their actual serviceable players like Josh Richardson and Bam Adebayo. This was a team that overachieved last year, and was the very fun, near-Cinderella story two years ago. However, those situations were likely more due to Erik Spoelstra’s brilliance than the actual talent on the roster. Pat Riley now has too much money locked up on the wrong set of players, but at least they aren’t all immovable. Expect change in South Beach real soon. I might be writing this at a bad time, because the red-hot Suns are on a four-game winning streak! But just remember that those four wins equal half their win total for the season. Because in all seriousness, the Phoenix Suns are bad. So, so bad. Their excruciatingly bad when put together with the rest of their conference, where the separation between the 1st Seed Denver Nuggets and 14th Place Timberwolves is almost the same as the Wolves to the 15th Place Suns. 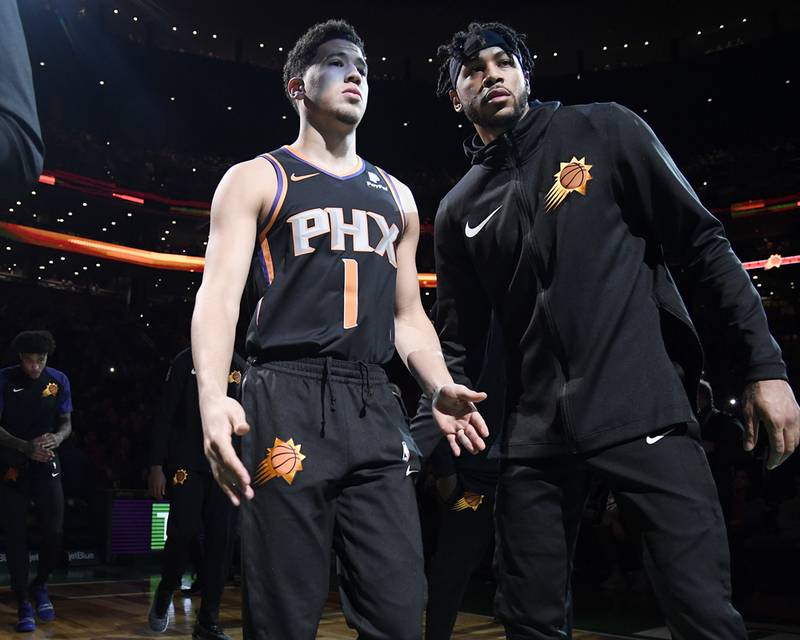 What makes the Suns so disappointing is the fact that they have two young stars putting up some monster statistics, yet many pundits believe those are slightly empty numbers. Devin Booker (24.5 points and 6.6 assists per game) and rookie DeAndre Ayton (16.0 points and 10.4 rebounds) have both underwhelmed to a certain degree. Booker’s struggled a bit with injury and adapting to more of a playmaker role for the Suns, but he has remained an inefficient gunner (32.1% from 3) and poor defender (-2.4 Defensive Box Plus/Minus). Ayton has been solid on the offensive end, albeit with a few gripes as a roll man. It’s been his defense that has been poor, and his slow feet and poor instincts have been clear from the eye-test alone. No one expected the Suns to be good this year, but they at least were expected to improve after acquiring the first pick. Maybe another one in 2019 could finally move the needle. Two weeks ago, the then 5-19 Chicago Bulls fired Fred Hoiberg for really no reason. Jim Boylen took the reigns for Chicago immediately after, saw his team lose by a franchise-record 56 points and then almost have a mutiny against him. 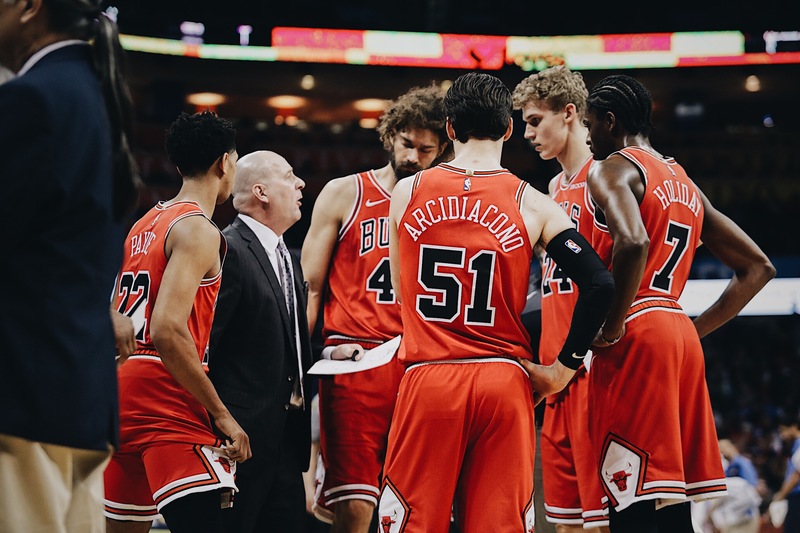 While disfunction does not equal disappointment, this Chicago Bulls team has been absolutely terrible on offense, which is the one side of the ball everyone expected them to be half-decent at entering this season. They are dead last in Offensive Rating at an insanely-bad-for-this-modern-era 99.6 Offensive Rating. This is an incredible stat for a Bulls team that resigned Zach LaVine and picked up Jabari Parker, two notoriously atrocious defenders that can score in bunches. However, the silver lining for Chicago is the fact that they have a pair of young studs in the frontcourt in Lauri Markkanen and Wendell Carter Jr. that have loads of potential. But whoops, back to the bad news: GarPax still runs the team. Good luck.